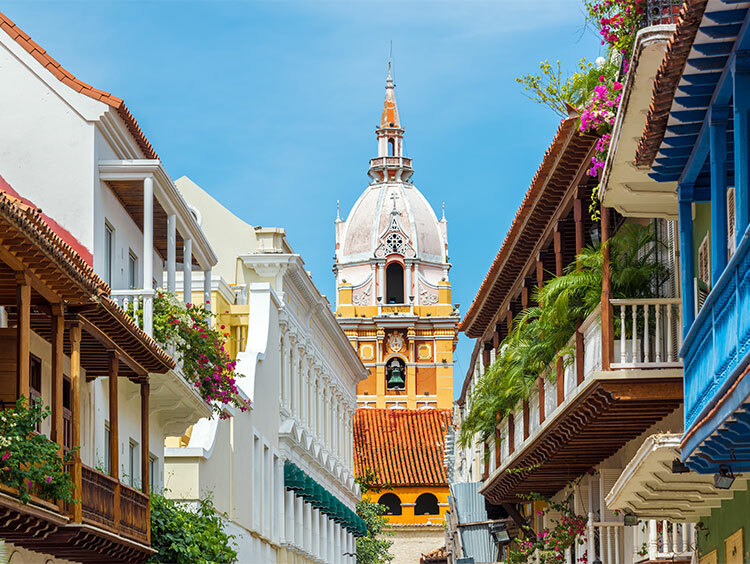 Venture into the heart of Colombia, where tropical forests and grasslands thrive alongside sky-high cities that harken back to colonial times. 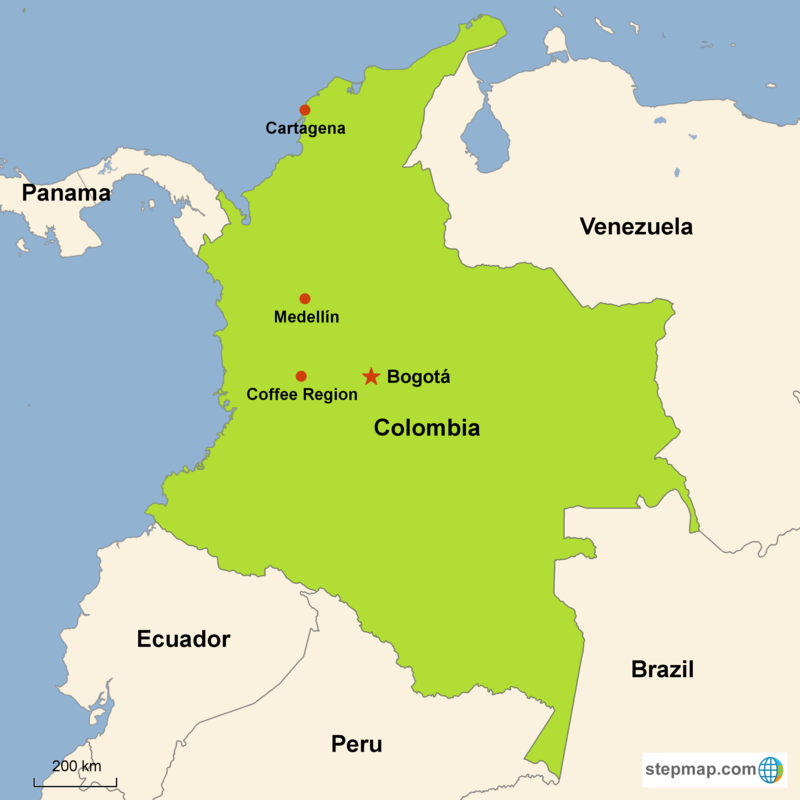 Colombia’s one of the most geographically and culturally diverse nations in the Americas. Thousands of years of indigenous culture still inform day-to-day life for many Colombians, while the lengthy period of Spanish colonialism, the strong African influence, and continuing immigration from Europe and Asia give the country its remarkably multiethnic makeup. Food and festivals in Colombia offer both an unforgettable view of cultural views and endless history lessons. There’s spectacular natural beauty at every turn, from towering volcanoes and mist-wreathed rainforest to palm-walled beaches, plus a “who’s-who” list of Neotropical wildlife that’ll get any nature enthusiast chomping at the bit. 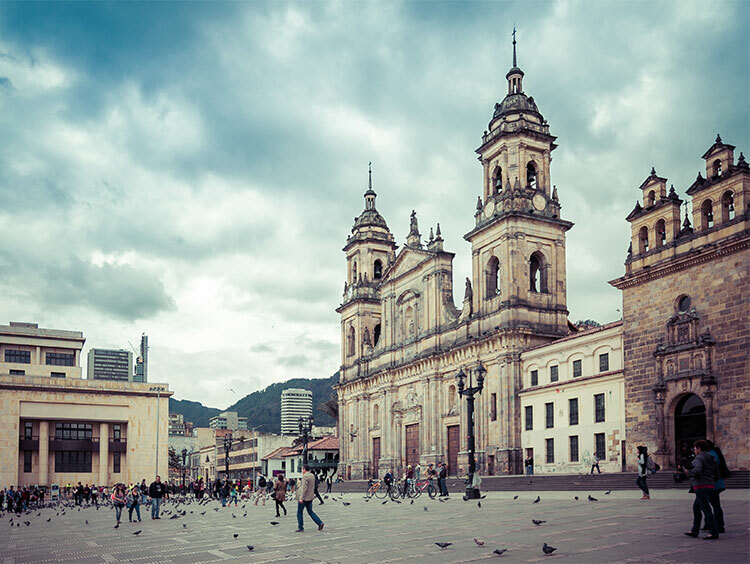 Whether you’re here to survey culture and history in monuments and living traditions alike, or you’re seeking encounters with South American wilderness at its most primal and pristine—or you’re looking for an off-the-beaten-track stretch of Caribbean or Pacific sand—Colombia promises an utterly unique travel experience. The blend of pre-Colombian, Spanish, African, and Caribbean ethnicities and traditions make an amazingly diverse cultural quilt in modern-day Colombia—from age-old Amerindian celebrations to the salsa spectacle of Santiago de Cali. 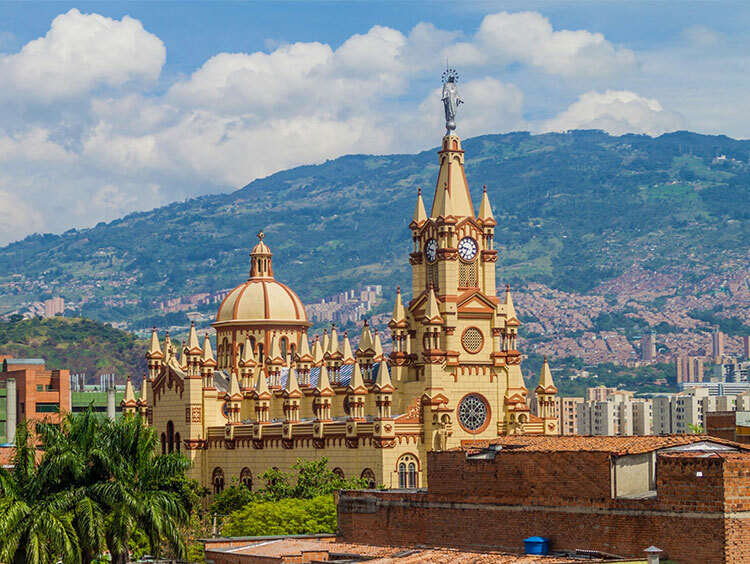 With its rich history and interwoven culture, Colombia has provided fertile inspiration for its homegrown artists, musicians, poets, and novelists, many of whom are internationally renowned. Among the most globally beloved writers the country?? ?s produced is Gabriel Garcia Márquez—best known for magical-realism novels such as One Hundred Years of Solitude—while global megastar Shakira’s exemplifies the universal appeal of wonderfully mish-mashed Colombian pop music. Travel Colombia today, and you'll see the roots of all that artistic energy. It should come as no surprise that a country as multicultural and multiethnic as Colombia boasts a spectacularly diverse—and edifying—cuisine. Take a trip here, and you'll get to taste firsthand how indigenous ingredients and preparations mix and mingle with European and African cookery. Classic Colombian dishes include doughy arepas, fried churros, and the so-called national dish: the glorious heap of multiple meats, rice, beans, fried eggs, plantains, and other sauced-up ingredients called bandeja paisa. Colombia may be one of the smaller South American countries, but its landscape diversity rivals anyplace else in the world. The only nation on the continent to claim shoreline on both the Caribbean and the Pacific: Colombia rises from beaches, mangroves, and lowland rainforest—including the fringes of the Amazon—to the cloud-forest heights of the Andes and the Sierra Nevada de Santa Marta (which loom past 18,000 feet). Given that elevational spread and Colombia’s position at the frontier of Central and South America, the biodiversity is staggering. Tour its premier system of national parks for an overview. Colombia wears the marks of thousands of years of history between numerous cultures. Its pre-Columbian ruins are extraordinary, including the Muisca site of El Infiernito and the “lost” Tairona metropolis of Ciudad Perdida. Then there’s the magnificent Spanish colonial architecture of Bogota, Cartagena, and other cities. African slaves, brought over by the Spanish, introduced their own culture to the country, while independence from the immigrants of the Middle East and elsewhere have also contributed to the heterogeneous population. As you’ll experience on your vacation here, distinct strands of all these many cultures persist, as do amazing expressions of multiethnic pride.